Who would have guessed? 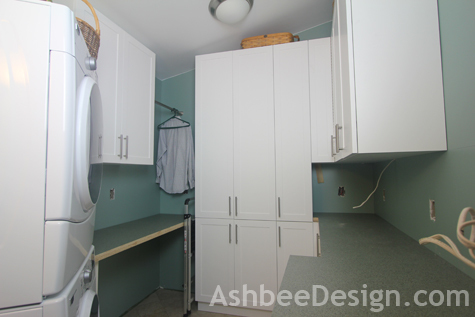 I started the construction phase of finishing my laundry room back on August 6th. I hoped for 3 weeks of chaos, planned for 6 and here I am approaching 3 months and we still aren't done. What happened? I'll explain further on but first let me share a progress photo - because we have finally made more progress! 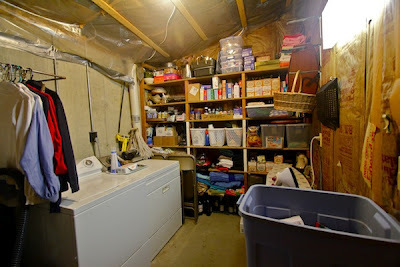 Here is my laundry room today. Because of the tiny size (and the fact that I am turning just about every square inch of it into functional space) photography is almost impossible. We have come a very long way. Then what happened? The problem was caused by logistics and supply chain, and the counter tops did me in. I didn't order the counter tops at the beginning of the project for a variety of reasons but mainly because I knew the room was possibly (read probably) not square and that adjustments might need to be made. I was right, so luckily I didn't end up with counter tops that wouldn't fit. I just ended up with none. 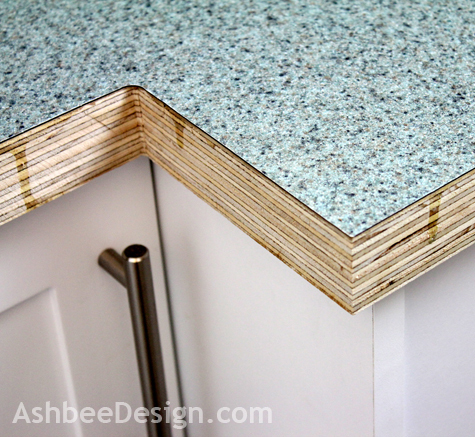 When it became time to actually order the countertops my contractor recommended I just order the Formica and he'd build them to fit. It would take much less time. This was an add-on job, not part of the original contract and there would be an additional charge. The quote was acceptable. I thought that sounded like a great solution and ordered the surface material. It took five days to learn it was a discontinued pattern. I went to the lumberyard and picked out a second choice, determined it was still available and placed another order. I was given a 1 week delivery date. Didn't happen. Time was spent by my making phone calls and the lumberyard people avoiding them. They kept saying things like, "Wednesday, definitely." Didn't happen. I then went to Home Depot and settled on one of the in-store options. It clearly would be a compromise but I wanted to proceed. Then my contractor started avoiding my phone calls. When I finally pinned him down he said he was very busy now but that next week he'd squeeze it in. Didn't happen. After several, "I'll try's", he finally said he wasn't coming back. And, six weeks after ordering the surface material, it finally arrived! I had the material (in 2 patterns), a job 90% done and no contractor. And that's when my husband said, "I guess it is up to us!" So last weekend we made the counter tops! I will share a series of how-to photos in another post. Below is a detail shot of the surface. I will be adding white edge trimming this week. Need to get a miter saw first. • Hold back money to the contractor even when he has completed work covered by that amount. He would have fit me into his schedule if I owed him money for work already completed. It was the added on jobs that had me paying, expecting yet another payment to go out. • The economy must be improving if it is getting hard to get a contractor. • Home Depot gave me better service than the small lumberyard, and they allowed me to return the Formica! I'll share some of the progress photos over the next few days.